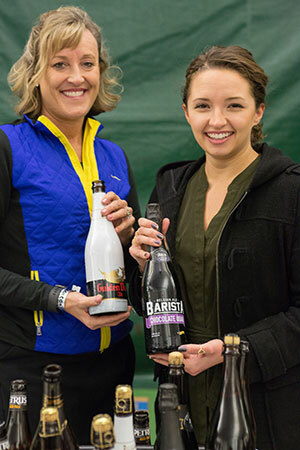 If you are interested in participating in the Big Beers, Belgians & Barleywines Festival by pouring your beer(s) for the Commercial Tasting, the 2019 formal registration deadline has passed. You may contact Laura if you have any questions. Table assignments will be determined and posted in early October, and further information will be requested of those who receive table assignments. We welcome new breweries & importers and extend an invitation to you as brewers, brewery owners, and importers to participate in this specialty gathering and the Big Beers, Belgians & Barleywines weekend festivities. If you have any stylistic questions or a beer that is more of an experimental nature than following specific style guidelines, please ask. We are extremely interested in innovative techniques and styles, as this entire event was created to educate the general public. You need not have an arsenal of Big Beers to participate in our event. Several breweries bring one or two beers for our Commercial Tasting and thoroughly enjoy the proceedings. Our brewery & importer informational forms can be accessed online in August. The deadline for these forms to be submitted is September 29, 2018. Informational updates, event reminders, deadlines, and more will be sent out by email. Sign up for our email list if you haven’t already. If you are concerned that you have not received the link to submit or other information, contact Laura. Please understand that our venue is not large enough to accommodate all breweries who are interested in participating in the Commercial Tasting. We make a concerted attempt to spread the opportunity around and include everyone. Breweries who have registered but cannot be accommodated for any given Big Beers weekend will be offered discounted tickets to attend the weekend as guests. 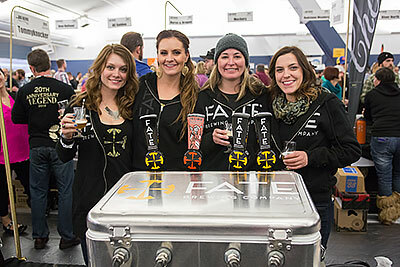 Table assignments will be announced as soon as possible after the registration deadline in order to allow participating breweries to make lodging arrangements. As a Professional Brewer, we would also be interested in your assistance with our Big Beers Homebrew Competition judging, which takes place in two sessions; on Friday morning and Friday afternoon. Our judges convene at 9:30am and 1pm to begin proceedings. Please contact Laura if you are interested in participating. In addition, the 2019 Festival again features our Experimental Brewing Seminar showcasing some of America’s most innovative brewers,as well as four different seminar tracks that you may be interested in attending. See the Seminars page for further information. As a participating brewery or importer, we would like to thank you for your support, your time, your knowledge, and your amazing products. The Brewers Reception is held on Thursday evening from 6 – 9pm, at Beaver Run Resort. Please join us to celebrate the craft beer industry and the opportunity to join together in the snowy Rocky Mountains for a weekend of fun. 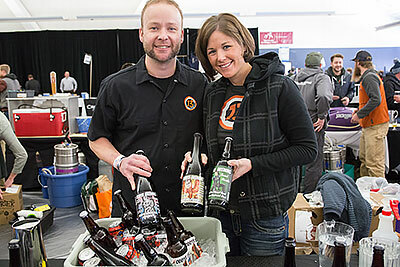 The Big Beers Festival has a zero-tolerance policy for aggression or harassment of any kind. Everyone should feel safe during the event, and we are dedicated to providing a harassment-free experience for everyone, regardless of gender, gender identity and expression, sexual orientation, disability, physical appearance, body size, race, age or religion. We do not tolerate any form of aggressive behavior or harassment of festival attendees, staff, volunteers, sponsors, or brewers. If a participant breaks these policies, they will be removed from the fest and the proper authorities will be notified. If someone or something makes you feel uncomfortable or unsafe, no matter how minor it may seem, please report it to any Big Beers Festival staff member or security guard immediately so the situation can be addressed.